From safe, effective flea control to a selection of widely researched, 100% guaranteed foods, Companion Animal Clinic offers a number of products for your pet's care. See the links below to learn more about the individual products. We also carry many over-the-counter products, from toothpaste and brushes to joint support supplements. Please call us or stop by the clinic to find out if we have what you're looking for. Nexgard is a monthly, chewable tablet for your dog that kills fleas before they lay eggs. 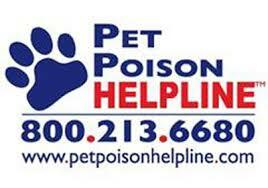 Plus, it kills the American dog tick. Vet-Kem Siphotrol Plus II Premise Spray kills adult fleas and ticks, and stops flea eggs and flea larvae from developing into adult fleas for up to seven months. HEARTGARD Plus provides trusted, proven protection against heartworm disease in dogs. It also treats and controls roundworm and hookworm infections. GREENIES Dental Chews are teeth-scrubbing, breath-freshening treats for your dog or cat. Also available are GREENIES Pill Pockets, the perfect treat for your pet when it's time to give them medication. Advantage Multi for Cats topical solution combines prevention of heartworm disease with flea control and the treatment and prevention of intestinal worms (roundworm and hookworm). It also treats and controls ear mites. What would you do if your pet got lost? Microchipping saves lives and HomeAgain Microchips can increase the chance of your pet returning home. ROYAL CANIN has a complete line of veterinary diets designed to help minimize clinical signs, promote recovery, and help manage disease. Clinical nutrition to improve quality of life. Available only from a veterinarian. 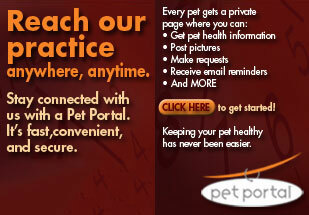 Precisely balanced nutrition to meet the special needs of your pet.